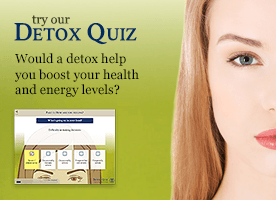 Natural Health News — A new in vitro study in human cells shows that glyphosate, the main chemical ingredient of Roundup herbicide, has an estrogenic effect that triggers the growth of human breast cancer cells. As the researchers pointed out “Glyphosate-based herbicides are widely used for soybean cultivation, and our results also found that there was an additive estrogenic effect between glyphosate and genistein, a phytoestrogen in soybeans. This research adds to the mounting evidence of adverse health impacts associated with glyphosate and the weed killer Roundup. It also adds to concerns about the failure of the regulatory authorities in the US and the EU to make a more robust and impartial assessment of the evidence. Last year a damning review of this failure, was published in the Journal of Environmental and Analytical Toxicology. However the report dismissed the findings on the grounds that the tumours did not increase in a straight line as the dose increased (linear dose-response). This conclusion was based on outdated scientific concepts, or put more simply ‘bad science’, but which the industry and regulators seem conveniently wedded to. This research is published in the same week as laboratory tests, detailed in a new report from Friends of the Earth, show that glyphosate is present in urine samples of people across Europe. Urine tests of 182 volunteers in 18 countries found that on average 44 per cent of samples contained traces of glyphosate. 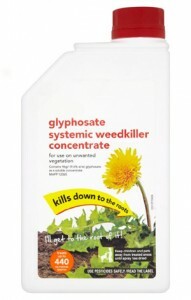 Of the ten samples taken in the UK, seven had weed killer traces. The proportion of positive samples varied between countries, with Malta, Germany, the UK and Poland having the most positive tests, and lower levels detected in Macedonia and Switzerland. Glyphosate is used by farmers, local government and gardeners, as well as sprayed extensively on some genetically modified crops imported into Europe for use as animal feed. Despite its widespread use its presence in food, animal feed or surface and ground water is rarely monitored by Governments and there is dispute over the science on which EU regulators basd their approval of the destructive herbicide for use. Fourteen new GM crops designed to be cultivated with glyphosate/Roundup are currently waiting for approval to be grown in Europe. Approval of these crops would inevitably lead to a further increase in spraying and exposure of EU citizen’s. Yet the UK government – which claims that it is science led – continues to ignore scientific evidence of risks. This not only perverse, it is irresponsible folly. Thanks to our friends at Citizens Concerned About GM for allowing us to reproduce this story.